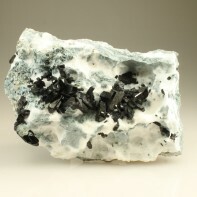 From the premier location for Neptunite – San Benito, California – this specimen showcases several bold crystals of black lustrous Neptunite, standing proud of the grey Crossite and white Natrolite matrix. 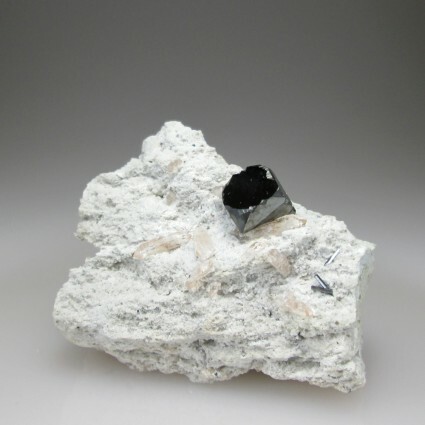 The longest Neptunite crystal is 1.8 cm long, a very decent size for this uncommon mineral. Overall, a very fine representation of this mineral. Shipping price for this item includes insurance.